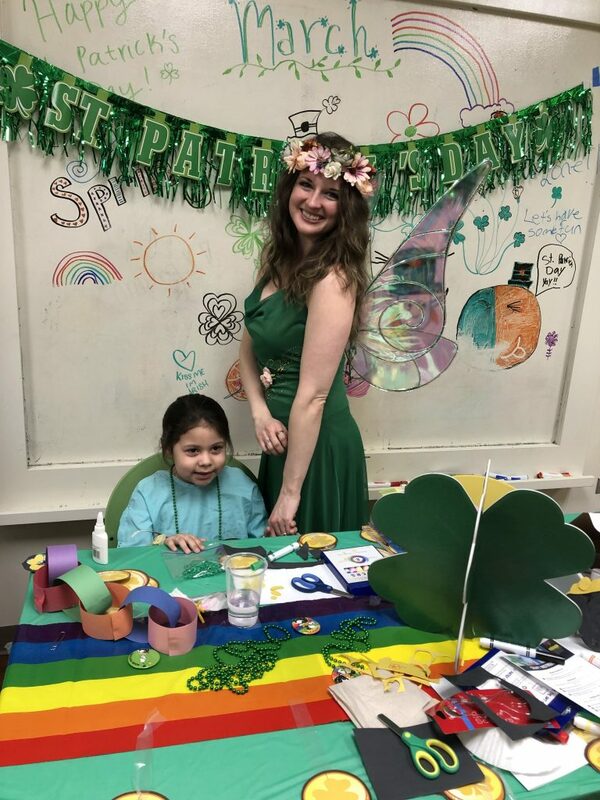 We covered the playroom in green as we celebrated St. Patricks Day at UIC. We had an amazing turnout at the party filling the playroom with patients and families. For those who couldn’t come to the playroom we were also able to go bedside to deliver the craft kit boxes and toy giveaways. We served about 20 children throughout the party. 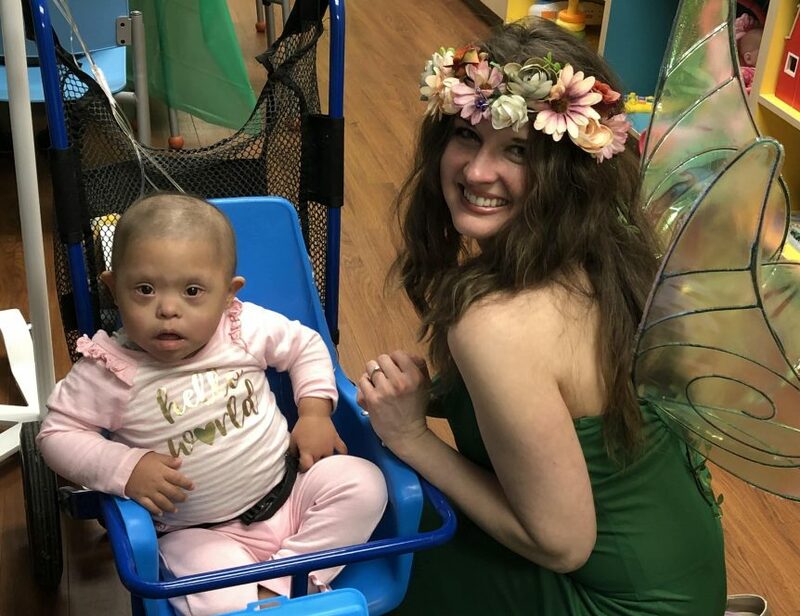 One of our friends – lets call her Kim – had so much fun interacting with the fairy that came along with us. She was in the family lounge eating lunch and couldn’t wait to get back to the playroom so she could continue her conversation. She loved learning all about where the fairy came from. We had a brand new volunteer! Thank you Lexi for joining our superhero team! You were truly wonderful. 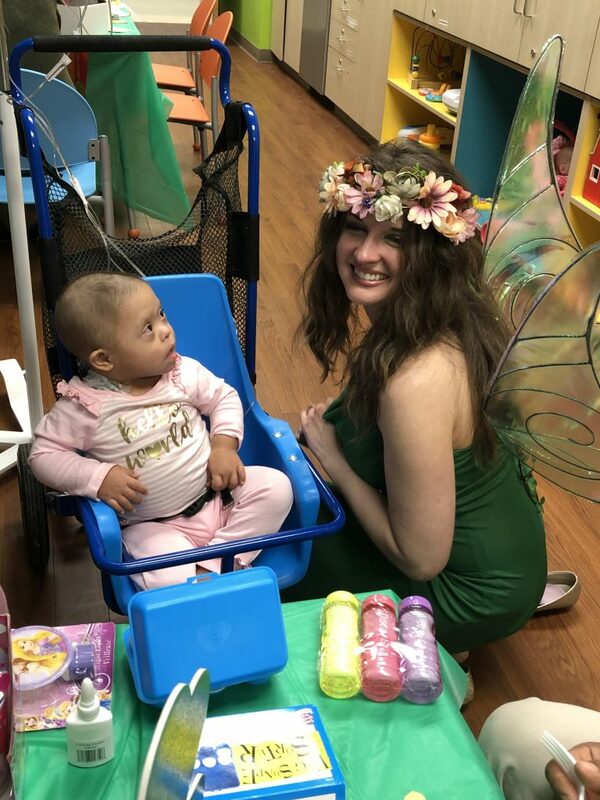 Thank you to Jessica from Parties with Character for dressing up as a fairy and bringing to much joy to the patients. Thank you to the Cultivate for sponsoring and packing the craft kit boxes for the party! We are still looking for a lead hero volunteer for UIC. If you are interested in learning more click here!